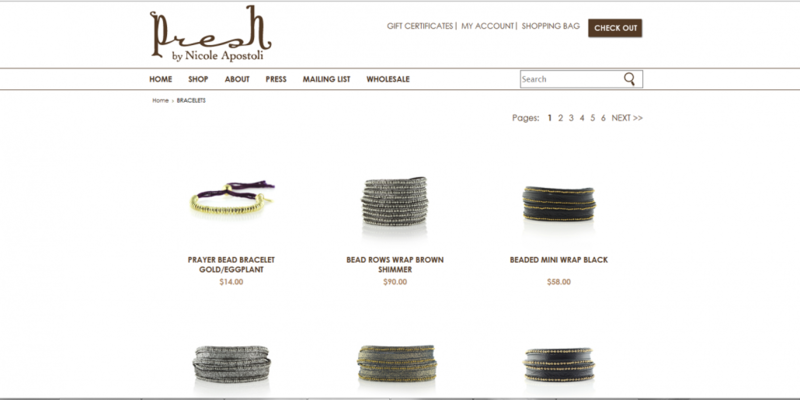 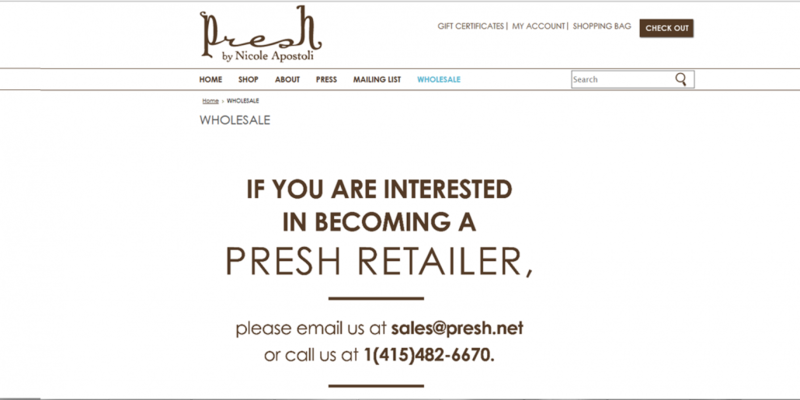 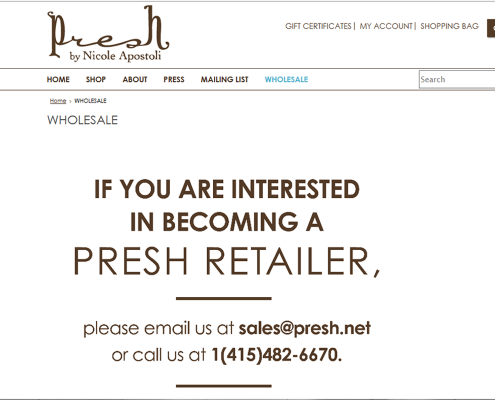 Preshbynicoleapostoli is an ecommerce site developed with BigCommerce. 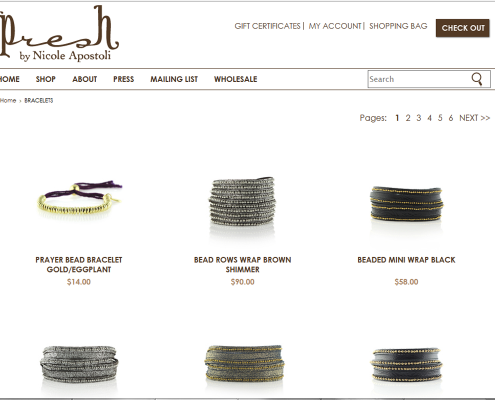 It has two section, retail and wholesale . 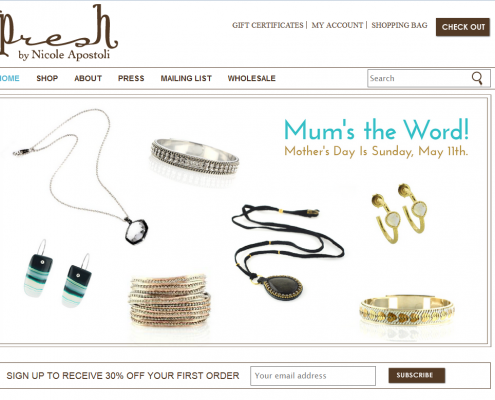 Both of these two have different layout and accessibility level for users .